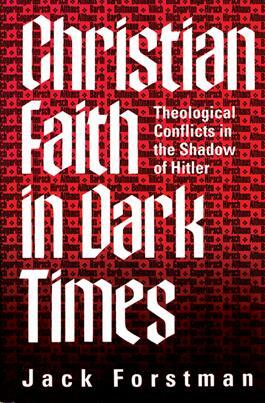 This notable study of Christian faith and how it functions in "dark times" reveals the thoughts and actions of six leading theologians of the Weimar Republic/Third Reich period--Karl Barth, Rudolf Bultmann, Paul Tillich, Paul Althaus, Emanuel Hirsch, and Friedrich Gogarten--and what prompted them to either resist or support the Nazi movement. Jack Forstman examines the theological values of these theologians and considers the interconnectedness among them; their easy, uneasy, and shifting alliances with each other; and the controversies that arose within their circle. His book provides a fascinating glimpse into an important moment in the history of Christian theology. It will stimulate contemporary Christians to think how they might recognize the demonic in society and resist it.